You’ve already got heart and vision. We get it. We do, too. Teaching you how to fully fund and grow your nonprofit isn’t about us. It’s about giving you the help and support you need so you can help those you serve. If you’re serious about making a difference in the world and not just talking about it, you need money. It’s simple, right? Without money, you can’t make the world a better place. But launching, running or growing a nonprofit can be hard at times. You need to raise more money than you know how. I know that asking people for help or donations can make you uncomfortable or a little anxious. You get stuck, because the things you try just don’t seem to create enough impact — and that’s discouraging. I get that. The problem isn’t your desire or your passion. You know what you were meant to do. Your dream is to solve BIG problems for your cause and community. But, you also know that fundraising should be a LOT easier and more predictable. I started Get Fully Funded because I believe raising money for your organization shouldn’t be overwhelming scary, boring or hard. I know there’s a better way to grow your nonprofit — learning how should be fun, productive, simple and easy to do over and over again. I believe anyone with a good heart and desire can become a successful leader, serve with integrity, and make a bigger impact on the world. Here’s the real problem. No one was born knowing how to raise money. I learned that hard lesson as a child. When I was 12, my dad was in the Jaycees (a civic organization that trains community leaders). As part of a Christmas activity to help our local needy families, I got to help a little boy spend $50 on anything he wanted at our local Kmart. I soon found out that $50 would be the only gift he would get for Christmas. It broke my heart. It was hard for me to understand how unfair it was that we couldn’t help him more. A few years later, my church youth group adopted a family at Thanksgiving. Excitedly, I helped gather items for a giant food box. I was stunned. And angry. While we were doing something wonderful for this family (and they were quite grateful), it hit me that it just wasn’t enough. One box of food couldn’t possibly make a dent the rest of the year. The only way to provide for those communities we serve, is to be able to raise money predictably and sustainably, year-round, time and time again. By the time I took a job at my local rescue mission in 1998, I knew I had found my calling. At first, I didn’t know what the heck I was doing. It took a while to get some traction. And it would almost make me sick, trying to raise money and not knowing if it would work or not. Soon, I figured it out, bringing in hundreds of thousands of dollars for the nonprofits I worked for. But, to make a bigger difference in the world, I knew I had to find a way to help many more nonprofits be successful. You see, I realized I could help TONS more nonprofits through coaching and training than I ever could as a single staff member. Now I want to show others how to shortcut the process so they don’t have to go through the struggle that I did. Learning how to fund your nonprofit doesn’t have to be a chore. By breaking down big concepts into smaller parts, I help you learn more quickly and easily, so you spend less time struggling, more time learning, implementing and getting the money you need to fund your dream. You don’t need to fear or avoid fundraising. Using my skills, flair, visuals, toys — even my corny jokes — my goal is to make learning FUN and productive. Since 2005, the Get Fully Funded team and I have been helping others achieve success funding their passions. I’ve been in your shoes. I get it. Each day, you face big challenges. You juggle activities, staff, budgets and more. You don’t have time or money to waste on fundraising that doesn’t work. Like you, I want to help. I’ve raised millions through grants, events, direct mail and a combination of proven strategies that get results. I’ve wrangled volunteer boards, trying to get them involved while managing dozens of projects and staff. It wasn’t easy for me, which is why I want to make it easier for you. The best part of my job is when I see my clients “get it”. Those moments when the light bulb comes on and I can tell they know exactly how to make their dream become reality. More than anything, it makes my day when you share your ‘over-the-top’ win with an appeal, event, or grant! We’ve done it over and over again with nonprofits just like yours. And we can’t wait to help you. “We doubled our revenue from $60,000 to $120,000! “We more than doubled revenue from our annual event! “Our magic number is bringing in money! We calculated our magic number, just like you taught us and decided to use it for Georgia Gives Day, which we’d never done before. I didn’t really know what to expect. I was so excited when we hit our goal of $5,142! It felt like people were helping teach kids on horses, not just pay our bills. Our motto? Do good. Have fun. Get funded. Wizards are legendary for excellence. When you call or email our office, the first person you’re likely to encounter is Emily, our Business Admin Wizard. Taking care of our customers is Priority #1 at Get Fully Funded and Emily is dedicated to helping however she can. She’s a driven millennial who is passionate about making a difference in the world, even if that means helping solving a technical problem or retrieving a lost password. 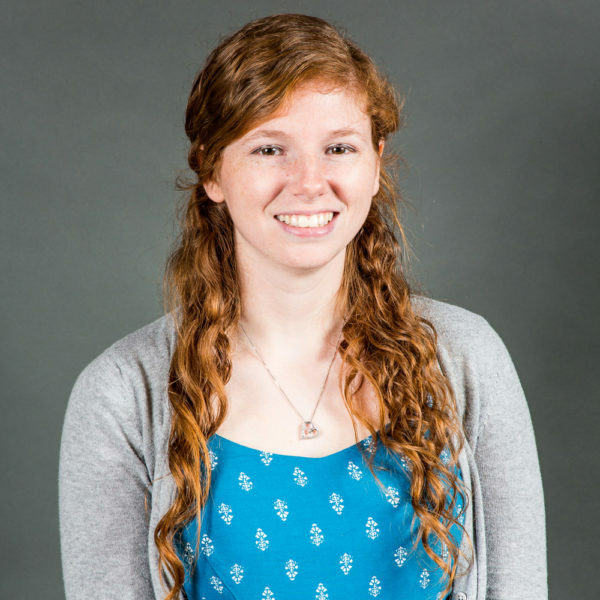 Emily’s volunteer experience includes S.T.A.R. Therapeutic Academy of Riding and the Loudon Animal Shelter. She’d love to do more, but her time now centers on her family and her farm. She and her high-school sweetheart are raising their 2 small children and several animals: they have 2 cats, 2 dogs, 14 chickens, and a hamster. Craziest thing I’ve done: Bungee jumped head first off a 100′ cliff. Most unexpectedly wonderful compliment: My (at the time) 4-year-old told me that my brain was beautiful. This was such an odd compliment, but I actually loved it. As the chief do-gooder and Founder of Get Fully Funded, Sandy has a calling to be your number one cheerleader when it comes to funding your nonprofit. For nearly 20 years, she has helped hundreds of small nonprofits go from “spaghetti-on-the-wall, nickel-and-dime” fundraising, to achieving 6 or 7-figure bottom-line results. 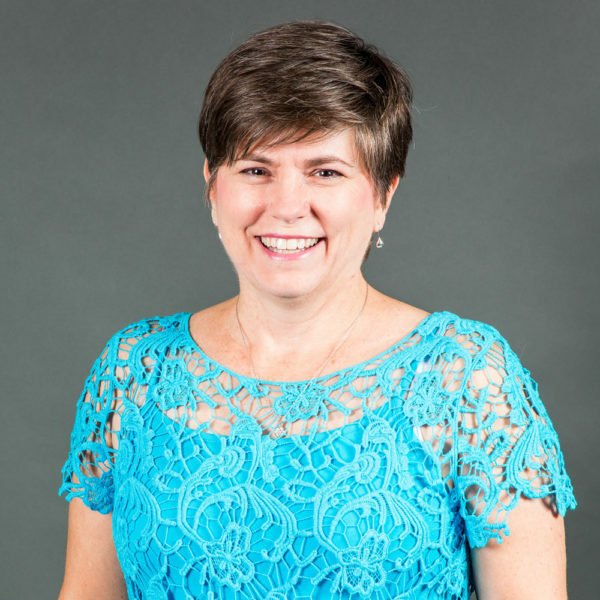 Using a proven process, Sandy shows students how to find ideal donors, and then connect and build genuine, long-term relationships. She guides you to figure out what to do next, with lots of ideas and practical tips along the way — so you know exactly how to get results, time and time again. When she’s not working, Sandy lives on a small farm in rural East Tennessee with 2 dogs, 4 cats, 2 horses and the occasional miniature donkey fosters. She also volunteers for Project Linus, making quilts for kids in need. Most unusual place I’ve visited? Topsia Slum in Calcutta, India. It was humbling, awe-inspiring and terrifying at the same time. It changed my life. Big, bold goal? To help 10,000 small nonprofits raise more money so they can make a bigger difference in the world. Secret superpower? I can’t help but encourage others, so they stay positive and feel confident to move forward and not be held back by fear. What’s the secret to success? Having a magician behind the scenes to manage all marketing and daily operations (and maybe to keep Sandy in line). That’s what Kristen does for Get Fully Funded. As our operations manager, she’s also your go-to person when you have questions you don’t know who to ask, or even know how to ask. Even if she’s super busy, she’ll take the time to talk and take care of you in a kind, caring and supportive way. 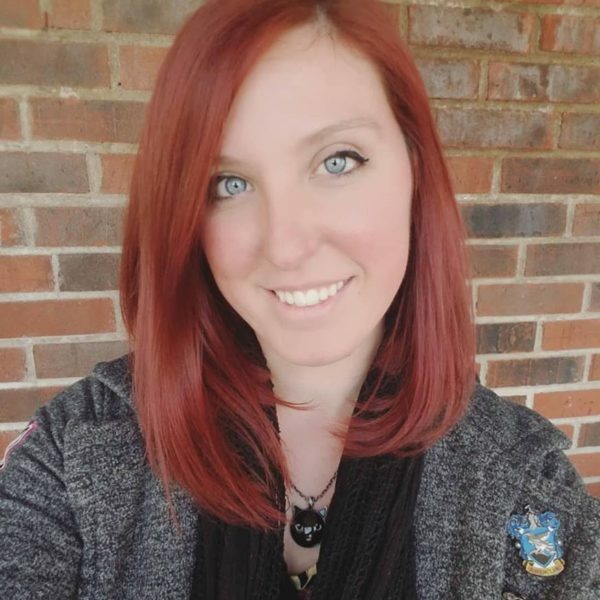 Kristen has a wealth of volunteer knowledge, including experience with Knox Area Rescue Ministries, Second Harvest Food Bank, the Loudon County Animal Shelter, S.T.A.R. Therapeutic Academy of Riding, and PetSafe, where she helped set up a grant application for the organization. 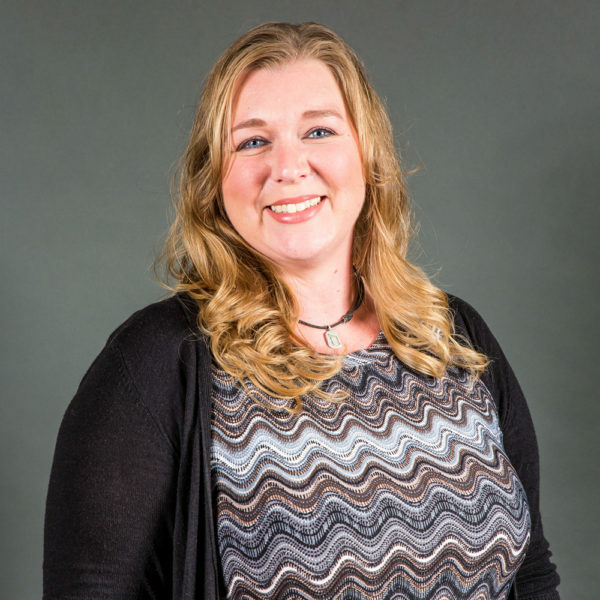 Not only does Kristen manage many of the day-to-day operations and provide support to our internal team, Kristen also helps Sandy plan and assist our annual, 3-day live retreat. When she’s not busy helping nonprofits grow, she volunteers at Horse Haven of Tennessee, taking care of horses who have been abused or neglected. Kristen also has 3 rescue kitties, who keep her and her husband company. Quote to live by? “Just keep swimming” (from Finding Nemo). Things in our business don’t always run smoothly, but I always do my best to be patient and live each day to the fullest. Big, bold goal? Help 10,000 nonprofits EVERY year learn how to fund their mission, so they don’t have to turn anyone away from their programs. Top causes? Animal rescue, environmentally friendly, hunger relief, housing and education to those in need. When our clients are ready to untangle the complex world of the grant application process, they turn to Susan, one of our resident grant researchers and writers. 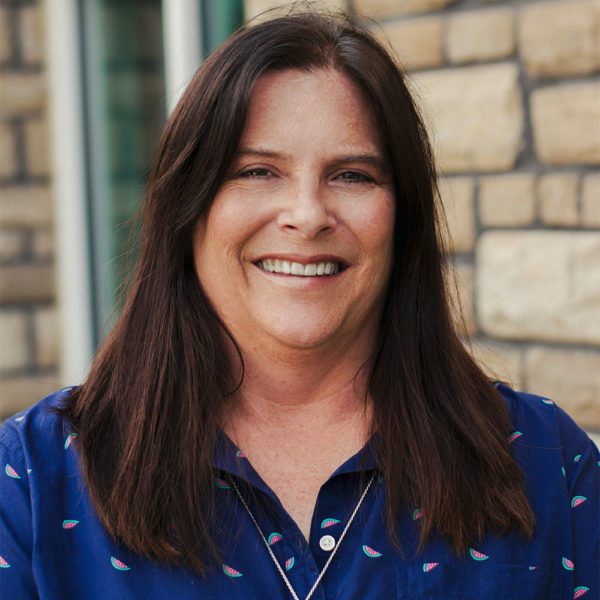 With over 23 years as a nonprofit manager and professional fundraiser, Susan has managed multi million-dollar gift campaigns, developed comprehensive annual campaigns from the ground up and secured grants for just about every type of nonprofit organization imaginable. That means you work with a heavy-hitter who can nail down all the details and turn your vision into a structured program with specific goals and activities. Susan loves a challenge and will sift through grant opportunities to figure out which strategies give your nonprofit the edge it needs, often finding potential opportunities that others might miss. She is also a Certified Grant Writer (American Grant Writers Association), has been a Certified Fund-Raising Executive (CFRE) since 1997 and serves on the Grant Professionals Foundation Board of Directors, the fundraising arm of the Grant Professionals Association. She thrives on people who are passionate about their mission because that enthusiasm makes it so much more enjoyable and rewarding to help them raise the money they need to fund their causes. Susan is just as busy in her “down” time. She loves to be close to the earth — camping, fishing, hiking, and designing flower gardens. She volunteers and is also the top grandma cheerleader to 4 grandkids who participate in dance, scouts, theater, and sports. Big bold goal? To be rich enough to write grants for free for my favorite nonprofits! Top causes? Criminal justice reform, prevention of animal cruelty and neglect, economic/social equality. Secret superpower? I try to empathize with people, imagining how I would feel in their situation. I never judge people because there’s always an underlying reason why people react to life situations differently than others. We’re so lucky to have even more grant greatness. Leah brings over 10 years’ experience in all things grants: research, proposal and application preparation, submission, administration, compliance, reporting, and funder relations. Before joining Get Fully Funded in 2017, Leah was the Director of Operations for a volunteer resource agency (Hands on Nashville). There, she successfully secured and managed $600,000 annually in foundation, corporate and government grants to support a variety of key programs. She also managed the agency’s human resources. Leah’s focus is about generating BIG money for nonprofits to reach their goals and create a positive impact in their communities. She saw this firsthand as Director of Research and Grants at Habitat for Humanity of Greater Nashville, where she helped fund the construction of 40 new homes per year. On average, she secured no less than $750,000 in grants annually. Leah’s a proud native of Detroit, MI, and spends her spare time on fun road trip adventures, finding unusual places and sites to visit. Craziest thing you’ve ever done? Hung off the edge of the CN Tower in Toronto…that’s 107 stories above ground! Top causes? Environmental, youth development and animal rescue.